Twitter bot, the network bot that posts your Twitter updates in your channel, works with the new Twitter API now, thanks to some code wrangling by the admin, the tech, and the teacher, Allan Jude (also network staff). Hooray! The bad news is that in the process of updating things recently, we discovered some corrupt information in the database the bot uses to determine which channels to join. Unfortunately some records were lost. If the Twitter bot hasn’t joined your channel again, you will need to register again. We apologize for the inconvenience. 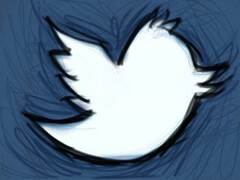 If you weren’t using the Twitter bot, register now to have your status updates shared in your channel. It’s a simple process. Let us know in #help if you have any questions. Click on the links above to learn hot to set each level. Regular users and voiced users have no power over how the channel is managed. Everyone else has at least some control over who can be in the channel and general channel management. The channel founder has the highest level of control, with the ability to remove or set any of the lower access levels. Only channel founders can set a channel successor or change the ownership of the channel, which is why we do not recommend having more than one founder for a channel. See tips on How to Choose Staff for Your Channel for more details on how to choose people to trust with your channel’s management. *See the Channel Modes page for details on which modes can be set by which levels. For instance, only the founder can link the channel (+l). Have you ever had your computer, Internet or modem go down while you were on GeekShed, and then when you log back in you find out that your nickname is still connected? If so, you have been a ghost on the GeekShed network. 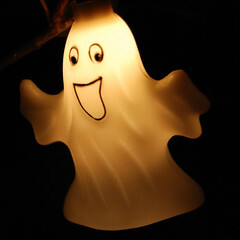 On IRC, a ghost session is one which is not actually connected, but which the IRC server believes is still online for one reason or another. Usually, this situation happens when your computer gets disconnected somehow while you’re on IRC. If the connection isn’t closed properly, you can remain on the network as a ghost. You can then use the /NICK command to change to your nick. The ghost has been eliminated and you didn’t even have to worry about ectoplasmic residue. contain the space or tab characters. You do not need to include your nick or real name in the command at all. If you’re looking for information on how to choose a good password, check out the suggestions in How to Protect Your GeekShed Password. You can automatically voice all users or all registered users as they join your channel. Some people use this command to help manage their channel. With everyone in the channel voiced, it’s simple to set the channel to moderated (/mode #channel +m) and devoice any troublemakers. Using the setting that voices only registered users can keep trolls and flooders from interrupting your channel. There are important limitations to note however. Since the Autovoice command voices everyone who joins, someone you devoice can simply part and rejoin the channel to regain voice. It’s generally more effective to ban and kick the person instead. -ChanServ- Autovoice option for #topgear set to ALL. For example: /msg chanserv levels #topgear set autovoice 0. Access level zero (0) is the level for regular users. 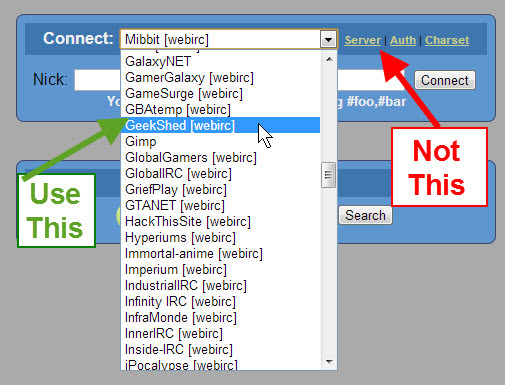 There are certain basic commands that are handy to know if you are new to GeekShed and helpful to pass along if you’ve just invited a friend to join you here on the network. First, you need to know that all commands use the same basic format. They all begin with a / and then include the specific key term for what you want to do. Second, in most cases, no one else will see you type a command. Most commands that begin with a / will not be visible to anyone else. I’ll note the exceptions. Third, the client you use may have buttons or menus (at the top or on right-click) that will execute some of these commands for you. Check your documentation to learn more about what your client can do. For the purpose of this barebones guide, I’m going to assume you want to type your commands out. For all these commands, my example username (or nick) is LordBacon and the example channel is #TopGear. /nick LordBacon Change your nickname to something new. Note that your nick has to be unique. You can’t use a name that belongs to someone else. /join #TopGear Join the specific channel. /list Gives you a list of all the IRC channels, how many people are in the channels, and the channel topics. Your client may pop up the list in a new window. You can also check out the list of channels on the website. /whois LordBacon Gives you some basic information about the person whose nick you use. /msg LordBacon hi! Sends a private message (the text) to the person you indicate. If someone asks you to PM, this is the command they want you to use. The message will usually pop up in a new window or a new tab. Exactly how it works depends upon your client. In the example, the private message "hi!" is sent to the user LordBacon. /notice LordBacon hi! Sends a private message (the text) to the person you indicate, without opening a new window or a new tab. Blocks messages from the person whose nick you indicate. You will not see anything else that the person types. This example ignores LordBacon. For more information, see How to Use the Ignore Command. /help Gives you some online help or documentation. The way the command works will depend upon your client. For more information on commands, you can check out our documentation pages or search the pages on our site. If you want to stay on the network, you can register your nickname and even register your own channel. Check your ban and/or kick message for details on what went wrong. When someone bans you from a channel, you may find the reason in that message. If there are appeal instructions there, you can follow them if appropriate. In some channels, you can just wait the ban out. In channels where basic bans are only 3 hours, waiting is probably the best solution. Look at the Channel Appeals page for an appeal process for the channel. Follow the instructions if the channel is listed. Wait for channel staff to reply. If the channel isn’t listed, they have no appeal process. If you are in another channel with the person who banned you, you can ask him if you can talk to him privately. When you post an appeal or ask about a ban, be polite and respectful. Apologize if you have broken channel rules, and calmly explain why you think the ban should be lifted. You might review the guidelines on Manners and Polite Behavior on GeekShed as well as any rules posted for the channel itself. If the ban stands or cannot be appealed, just accept it and move on. Don’t try to force your way into channels where you are not wanted. Do not complain or ask about the ban in other channels (that includes #help). Do not PM network staff. Opers will not get involved in channel bans. Do not post complaints or arguments in the GeekShed network forums. You’ll just get yourself banned from the forums as well. It’s okay to post in a channel forum specifically for appeals, if one exists (for instance, as in the case of #chris or #ericjess). Do not rejoin the channel until the ban is lifted. Do not use a BNC, a new connection or alternate nick to rejoin. These actions are ban evasion and you will be banned from the entire network, not just the channel. If you happen to be looking for information on a ban from the GeekShed network (rather than from a channel), please check the Ban Appeals page. Last week, I explained how to set a simple channel ban that takes care of most situations. Occasionally, you need a stronger or different kind of ban. This week I’ll explain the more complicated channel bans that you can use. Check the Extended Ban tutorial for additional options. To ban someone who always has the same ident: /mode #channel +b *!ident@* Because this information can by set by the client, be careful with these bans. In the case of web-based clients like GeekShed’s Flash client or Mibbit, the ident is the same for everyone. For example, this command: /mode #topgear +b *!TFlash@* would ban everyone using GeekShed’s Flash client from the channel #topgear. Before you try any of these bans, of course, be sure to check the information against others in the channel to avoid accidentally banning someone. Be sure that you have set the appeal information for your channel, so that people know what to do if they are banned accidentally. Finally, for more details on how these bans work, check out the Bans & Mask Type Definitions from the Undernet website.